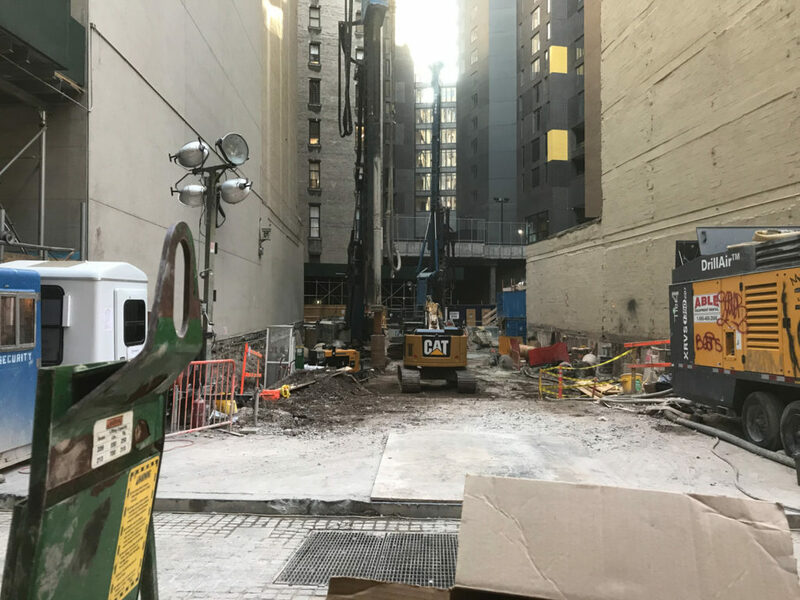 Construction is well underway for what will eventually become the Financial District’s tallest residential tower, a 64-story supertall at 45 Broad Street. 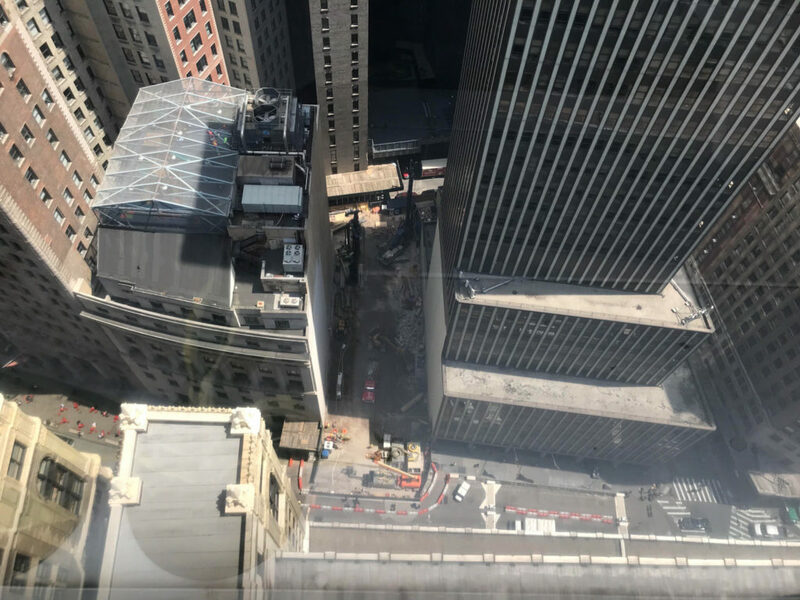 Thanks to a reader providing an overview photograph, we can see that trucks are currently removing debris from the site, and reports indicate that concrete trucks are also moving in and out, indicating that excavation is now in full swing. Drilling for the foundational piers has already started. Pizzarotti LLC is responsible for building and developing the tower, along with Madison Equities and AMS Acquisitions. The 1,115-foot tall structure will yield 407,480 square feet of residential space, with 62,000 square feet dedicated to the commercial-retail use and 93,900 square feet dedicated to a school. 206 apartments are expected. 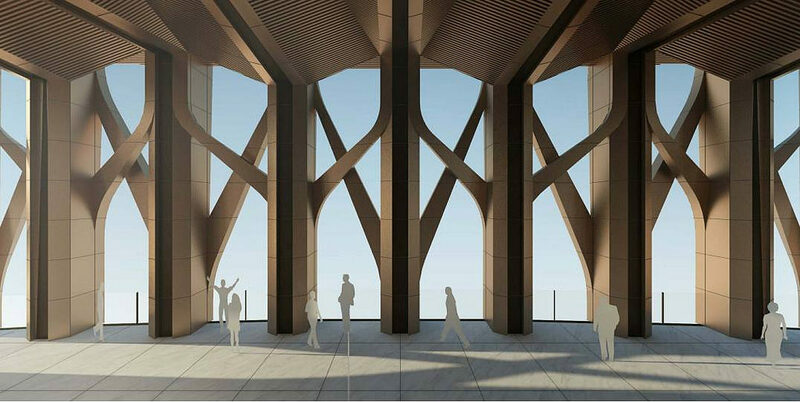 A mass damper will crown the tower, and windbreak levels puncture the façade on the 27th and 43rd floors. The two floors boast 32-foot tall ceilings made open for terrace space. CetraRuddy is responsible for the design. The unique bronze latticework creates a sculptural decoration above the glass façade. The design is a futuristic take on the art-deco style prevalent throughout the neighborhood. Completion is expected by spring of 2021. 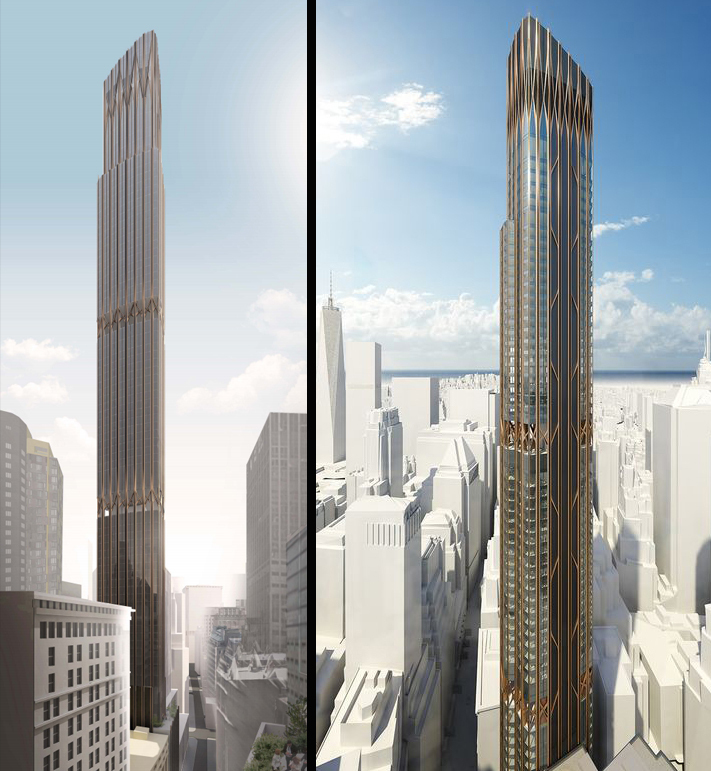 7 Comments on "Excavation Begins for 45 Broad Street, Downtown’s First Residential Supertall"
Please pardon me for using your space: I love its exterior performance, do not innocent that it’s supertall. I really like the skinny supertalls. They aren’t thiccbois so they won’t look as good from far away, but they won’t ruin the street level. The “latticework” reminds me of the Trade Center. Was this the site that wanted huge taxpayer-backed bonds just before 9/11? As I remember they were just about to float a half-billion dollar issue but rethought it when they realized they would only be land marker for any air attack on the NY Stock Exchange across the street. Could not get insurance I think. Is it any better today? Remember the days when a building as tall as 1,115 feet would easily have over 100 stories. This will be a big test for the Open Shop Contractor market, going over 1,000 FT. I’ll be keeping a close eye on this one.